Ifra Ahmed is one of the world’s foremost campaigners and activists against Female Genital Mutilation/Cutting (FGM/C). She is the Gender Advisor to the Prime Minister of Somalia. 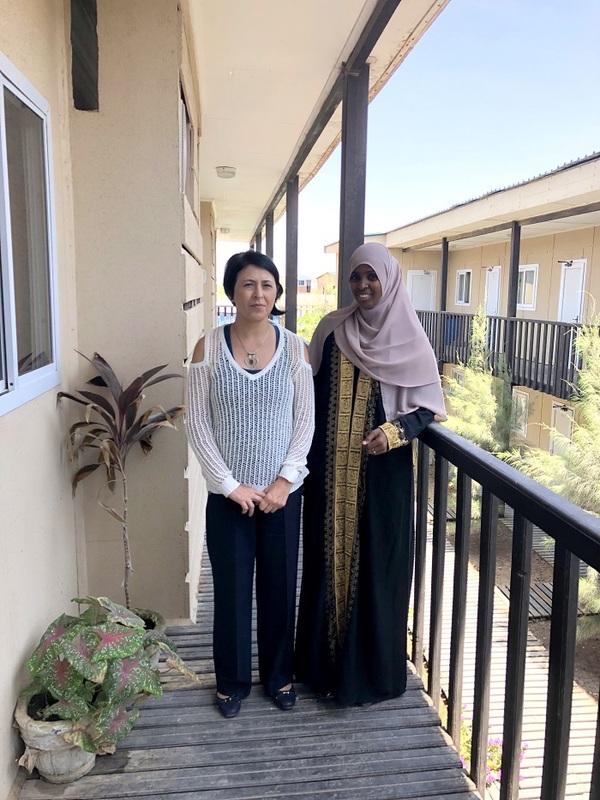 A meeting between Ifra Ahmed and EUCAP Somalia Head of Mission, Maria-Cristina Stepanescu, took place in Mogadishu on April 8, facilitated by the Mission’s Human Rights and Gender Advisor, Gorica Balta. Among topics of discussion were Sexual and Gender Based Violence (SGBV), FGM cases in Somalia and a presentation on SGBV/FGM/C for EUCAP Somalia’s staff scheduled to take place in the Mission’s premises next week. During the tenure of Ms Stepanescu, Gender mainstreaming has been fully integrated in all the Mission’s activities, taking measures and setting objectives for strategic engagement on gender equality. The European Union, in its capacity as a global leader and as a UN partner in the full implementation of the Women Peace and Security agenda, firmly supports and promote gender equality, women’s empowerment, leadership and rights worldwide.